Home / Automotive / Cars / The Ford Mustang 729 Supercar Concept, Breathtaking! Roush Performance will introduce its concept for the 2017 SEMA motor show, the 729 supercar. The concept is a custom-built unique, wide-body Mustang, built to pay tribute to Ford's 1970 boss 429. The supercar is finished in a commemorative hue of grabber green, of which only 95 boss 429's were painted. 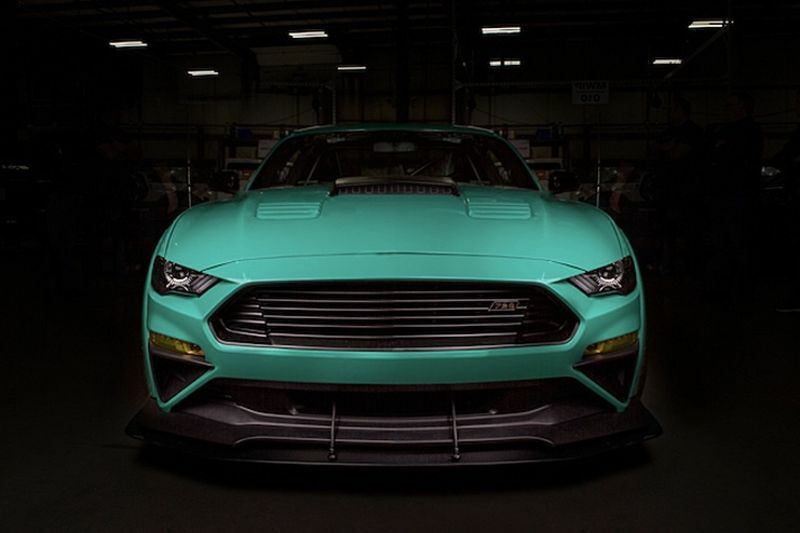 The concept features the American tuner's most recent Mustang body kit and a custom wide-body kit designed in collaboration with Stratasys. Roush Performance's 729 concept is equipped with various race-influenced carbon fibre parts, as well as custom Vossen RVS forged wheels that are wrapped in Continental 'extreme contact' sports rubber. Custom-painted Brembo GT series brakes provide plenty of stopping power, while a Roush three-way adjustable coil-over suspension system allows for skid ratings of 1.07 lateral G's. A Roush/Ford Performance supercharger sits atop a 5.0-litre Coyote engine beneath the hood. The R2650 supercharger features a front-intel, front-drive design, utilizing Eaton TVS technology to produce 700+ horsepower. Airflow to the Mustang concepts engine is provided through a functional hood scoop with an 'air gobbler' ram air-induction system and cold air intake, while an innovative and patented active quad-tip exhaust system allows the driver to tune the sound of the 729 to their preference. The Mustang concept has also been fitted with upper and lower grilles, a rear blackout panel, plus several carbon fibre body components including; a front splitter, rear aerofoils, side rockers, a spoiler, and mirror caps. On the inside of the concept supercar, custom Katzkin leather upholstery covers the Recaro racing seats. Roush Performance window NACA ducts with cooling tubes have been installed, as well as a raft of safety upgrades, including a Watson racing roll cage and a Sparco four-point racing harness. Indulge in the image gallery above to see the Mustang in full, and keep an eye out for an update to come. Video: 1969 Chevrolet Camaro Inferno Project Is Stunning!